Ten Bangladeshi companies displayed various Bangladeshi foods in France as they took part in the ‘SIAL (Salon International de l’ Alimentation) Paris 2018′, the world largest innovation food exhibition. The five-day international food exhibition was held from Oct 21 to 25 at the Nord Villepinte in Paris, said a press release on Tuesday. Bangladesh Ambassador to France Kazi Imtiaz Hossain visited the Bangladesh pavilion and exchanged views with the participants from Bangladesh in the fair, reports BSS. He underscored the need for enhancing the quality of food and its packaging for attracting the visitors as the demand of Bangladeshi foods among the French is very good. A total of 7,200 companies from 109 countries exhibited their various foods at the exposition. Around 160,000 visitors from 194 countries visited the fair. Eight Bangladeshi companies took part in the fair through the Export Promotion Bureau (EPB). The companies are Ifad Enterprise, Ifad Multi Products, Danish Food, Alin Food Products, Hifs Agro Food, Kishwan Snacks, Raj-kamal Khamar Bari and Raz-Kamal Food. Pran Group and Sajib Group participated at own initiatives. 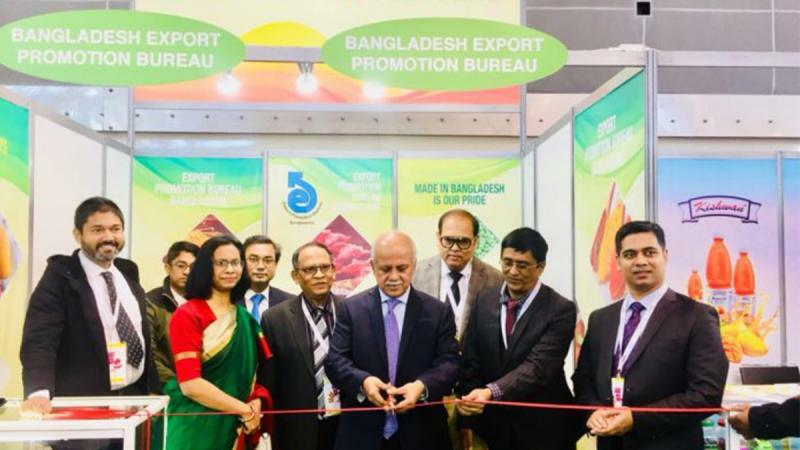 The participants in the fair expressed the hope that the expo will create opportunities to increase the export of Bangladeshi food products in the world market, including Africa and Europe.